Enbridge held a gun to the Minnesota Public Utilities Commission (PUC), threatening to continue operating a dangerously flawed crude oil pipeline through northern Minnesota unless the commission approved construction of a new and larger pipeline. During its fifth day of deliberations, all five PUC members agreed in principal that Enbridge had met its burden of proof to get a Certificate of Need for the pipeline. It hadn’t voted by the time they recessed for lunch, but opening statements by each Commissioner today made it clear the PUC would approve Line 3’s Certificate of Need, with conditions. Comment: Commissioners paid lip service to issues like climate change and the disproportionate harm the pipeline would do to Native communities, but their actions didn’t follow their words. Here are key observations from today’s morning session. It feels like a gun to our head that somehow compels us to approve a new line because of the risks – the real risks – of that existing pipeline and the problems that could occur. But when I think about that, all I can say is that the gun is real and it is loaded and the evidence in the record doesn’t provide any indication that the old pipe will go away in the next 10 or 11 years. …. That leaves us with a highly corroded, very dangerous existing line in the ground for at last the next 10 or 11 years, posing a real danger to the environment and cultural properties in the State of Minnesota. That is a hard one to get past. PUC Chair Lange was in tears during her opening statements. She used a different metaphor to explain her support for Line 3’s Certificate of Need. At the end of the day, I had to ask myself, “How would I feel if I woke up in five years and I had said ‘no’ to this pipeline and there was a leak somewhere that implicated natural resources or human life or cultural resources?” … I tried to find in the record a place that gave me some certainty that this pipeline was going to shut down sooner than 2029. But I couldn’t find anything. How would I feel if I woke up in five years and that line had leaked? It’s just too great a cost for me to accept. … That was the pebble on the scale that said the consequences to society for granting the [Certificate of Need] are stronger than the consequences of denying it. Comment: One is left wondering why the Commissioners didn’t push Enbridge officials harder to justify their repeated statements that they could continue to operate the old Line 3 safely? Commissioners obviously did not believe it. It seems Commissioners were swayed by their felt responsibility for future Line 3 leaks, instead of putting that responsibility squarely on Enbridge for safe operations. Something is deeply wrong when this kind of threat can work. The PUC is supposed to weigh the project’s risks and benefits, something referred to as the Balancing Test. During deliberations, it seemed Commissioners spent more time focusing on the needs of the international oil markets (future adequacy, reliability or efficiency of the crude oil system) than on the needs of the Minnesota Public. Significantly, while some commissioners made a passing reference to Line 3’s climate change impacts, noticeably absent were any references to Line 3’s estimated $287 billion social costs of carbon over 30 years. That number was in the Environmental Impact Statement and confirmed by the Administrative Law Judge. I am also very cognizant that under the law the Minnesota Public Utilities Commission statutory authority for pipelines is specific and limited. … It is much narrower than our authority over electric utilities where the Commission is provided extensive direction to the companies in this industry and a significant transformation to a low-carbon future is well underway. It seems the PUC could consider Line 3’s climate change impacts if it wanted to. If Schuerger is right, and the law doesn’t allow the PUC to consider climate change from pipeline projects, there is something deeply wrong with the law. In broader terms, it was notable during opening comments that Commissioners repeatedly defended their Certificate of Need support saying they had to follow the law. “We don’t have broad policy authority here to decide what we think is right, we have the authority to decide what the law requires on the record given to us. That is where we are at. This morning’s deliberations were a devastating blow to water protectors. Key next steps include the debate on the conditions the PUC will impose on the project, such as creating a Guarantee Fund to clean up spills, liability insurance, a tree planting program, etc. In the next day or two, Commissioners will decide on a Route Permit for Line 3. If the PUC approves something other than Enbridge’s preferred route, it would delay the project and add to costs. 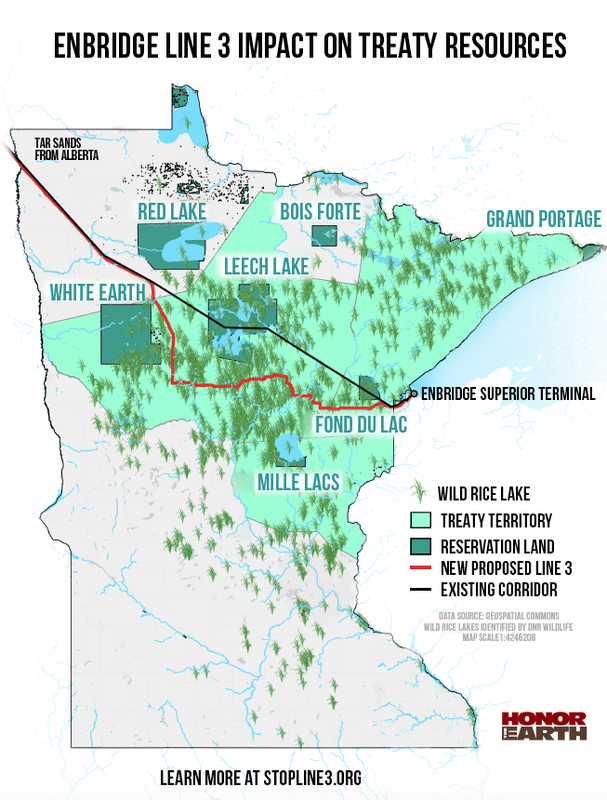 Ultimately, opposing parties could bring legal challenges to Line 3. The strongest challenge would likely come from tribes asserting treaty rights. Those lawsuit would be long and costly.